Starting with a high tempered hexagon core, it is then wrapped in Nickel-plated cover for a bright sound and longevity. 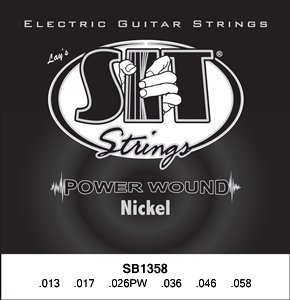 Combine a state of the art winding process and Stay In Tune process, you can see and hear why these are the guitar strings that have made SIT famous. All this plus Moisture Barrier Packaging!